The Estate Abadia Retuerta LeDomaine, once a 12th century monastery, now a 5* star Relais & Chateaux hotel with the Michelin star restaurant – Refectario. Nestling between vines along the River Duero it radiates luxury and peace and quiet rule from the inside the historical Romanesque-Baroque monastery walls. North of Madrid in the region of Castilla y Leon and east of Valladolid this is wine growing country so a vineyard visit is a must but there are plenty of other experiences available, Horse riding, Cycling or Hiking Trails, Historical and cultural guided tours, Medieval falconry and the almost obligatory wine tastings. See the Hotel Abadia Retuerta Le Domaine website or see Abadia Retuerta on Booking dot com. 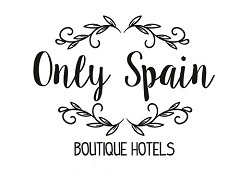 See other hotel posts on Luxury Spain.